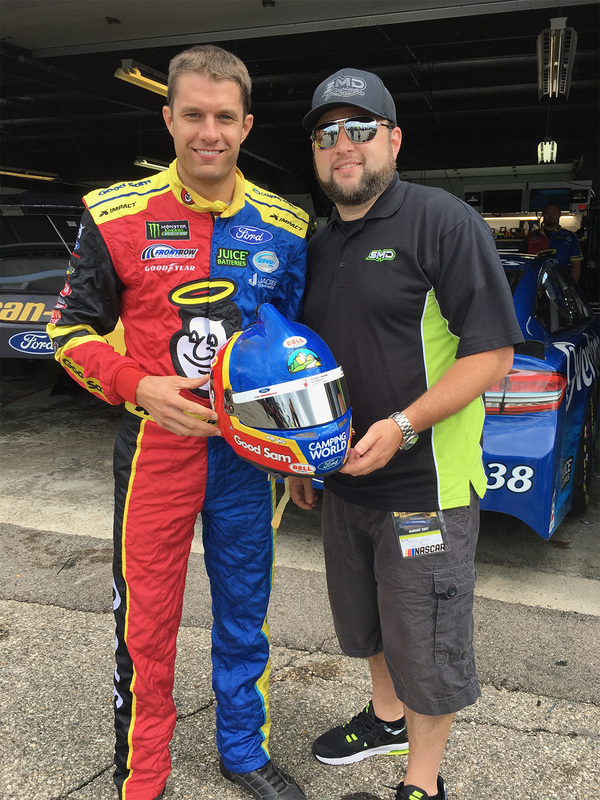 SMD teams up with David Ragan and Front Row Motorsports to design a logo to commemorate Ragan’s 400th start in the Monster Energy NASCAR Cup Series. The Unadilla, Ga., native will celebrate the career milestone on Feb. 25 at his home track of Atlanta Motor Speedway. Some special friends are joining in the celebration, including the Georgia General Assembly. Ragan and track president Ed Clark will attend a ceremony on Thursday morning at the Capitol in Atlanta where the legislature will issue a proclamation honoring Ragan’s achievement. Local partner Fr8Auctions will also get into the celebration, proclaiming Ragan’s success with a commemorative logo on the decklid of the No. 38 Ford. The Atlanta-based auction house that sells excess freight inventory is partnering with Front Row Motorsports for a fourth straight year. This marks the second time that Shawn Magee Design (SMD) has had the opportunity to work with David Ragan in the Monster Energy NASCAR Cup Series. Last year SMD designed the Camping World/Good Sam helmet that David wore in over 15 races during the 2017 racing season.